A time-tested approach which preserves the innocence of early elementary school students. Cornerstone Concepts introduce personal safety to young learners. 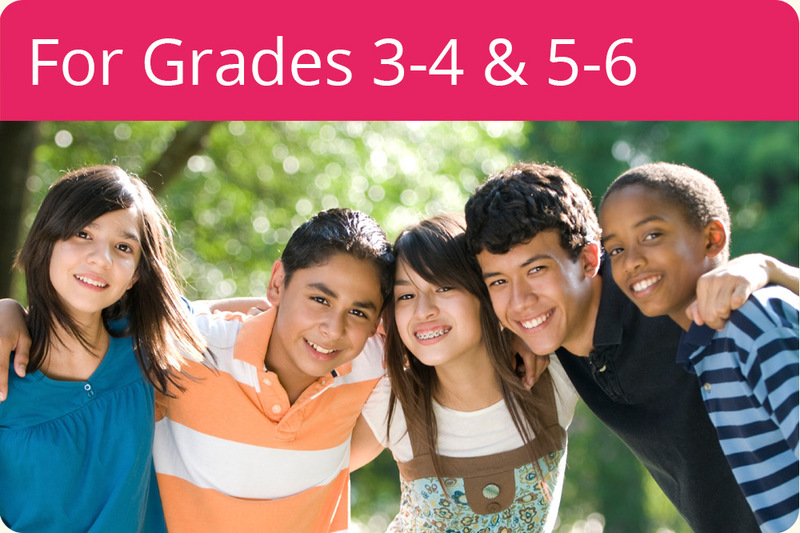 Building on Cornerstone Concepts, these grade-specific lessons empower pre-adolescents to detect, avoid and report inappropriate behaviors and unsafe situations. 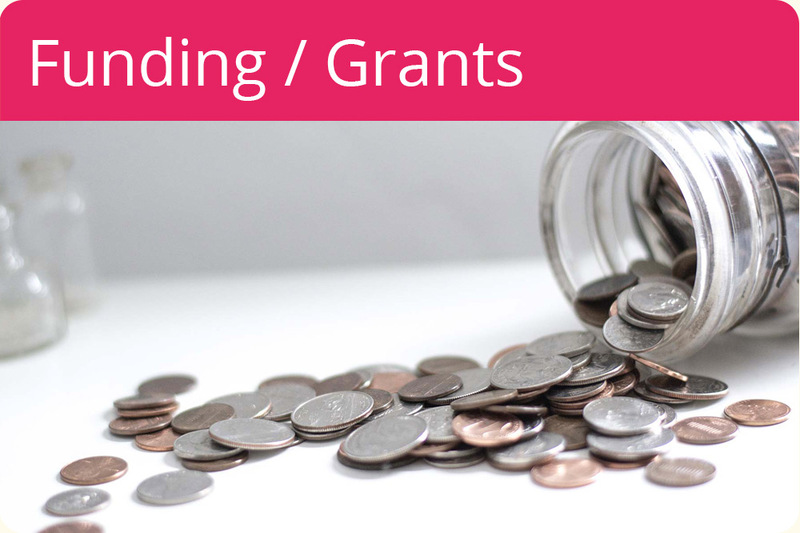 Useful info about funding sources for implementing Think First & Stay Safe™ in your school and district. 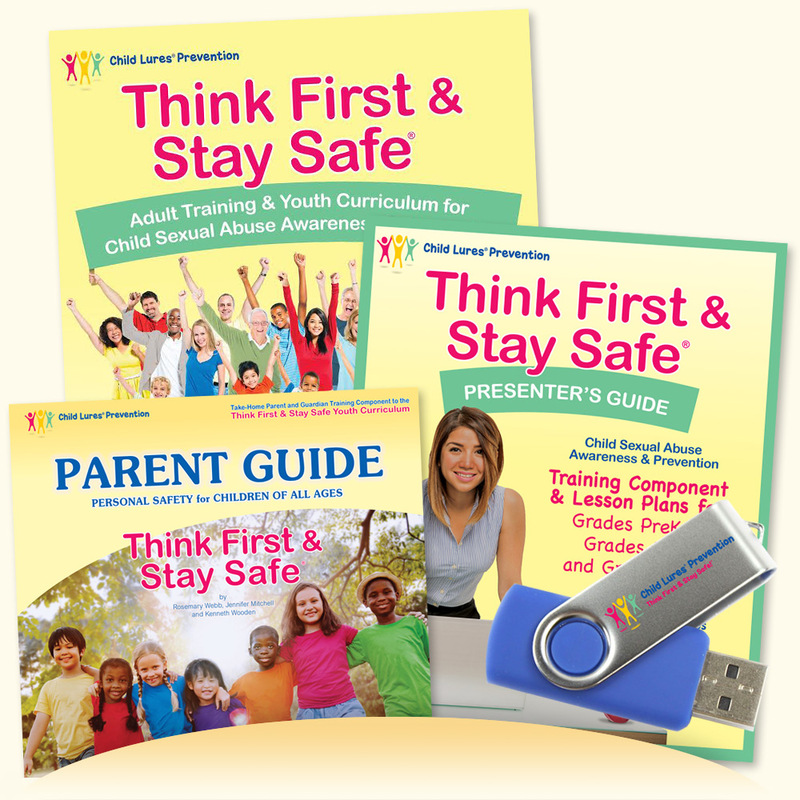 The Think First & Stay Safe™ Adult Training & Youth Curriculum is the ORIGINAL evidence-based child sexual abuse awareness and prevention program for Grades PreK-6 -- adopted and trusted by thousands of schools and school districts across America and around the world. Evidence-based and trauma-informed, Think First & Stay Safe™ provides children with age-appropriate, non-frightening personal safety education for preventing bullying, child sexual abuse, child molestation, child luring, child abduction, and other forms of child victimization. The program offers a balanced perspective that preserves the innocence and optimism of childhood, while arming youngsters with personal safety strategies. Studies document that bullying, harassment, sexual exploitation, abduction, e-crime and school violence occur at every socioeconomic level and across all geographic borders. By teaching students the importance of treating themselves and others with kindness and respect, we set behavioral expectations and help youngsters recognize inappropriate and unsafe behaviors. Students learn how to set personal boundaries, identify trusted adults and recognize their instincts at work. While adults are primarily responsible for keeping youngsters healthy and safe, teaching students to Think First & Stay Safe™ enables them to take an active role in protecting themselves when necessary. Schools provide an ideal environment for reaching every child with positive messages and prevention strategies. Staffed with mandatory reporters, schools provide a nurturing and safe environment for students to disclose incidents of bullying and abuse or to obtain help if having thoughts of mistreating others. 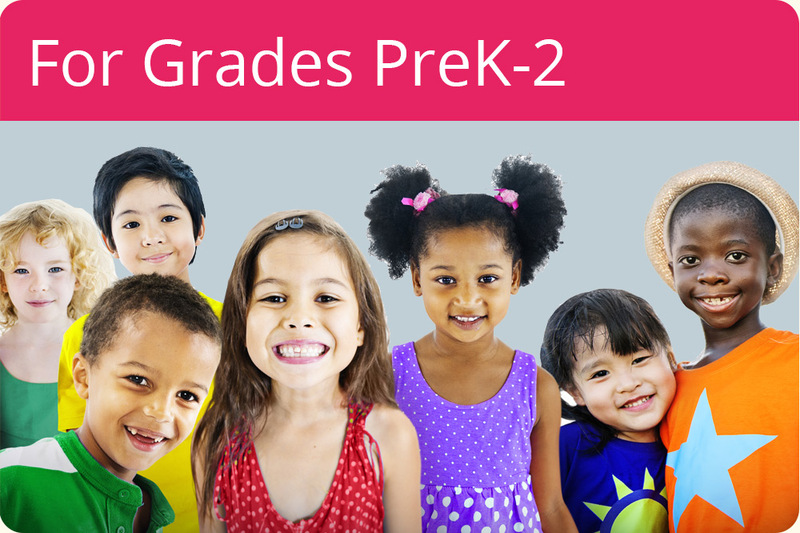 Educators who proactively start personal safety education in Grades PreK-2 are helping to ensure that their students come to school prepared to learn, without the challenges often associated with exploitation that are detrimental to a child's education. Children who learn to differentiate between appropriate and inappropriate behavior, and whose parents support such education, are much less likely to be bullied or otherwise abused. Students who participate in Think First & Stay Safe™ curriculum become well versed in Internet/Electronic safety, as most lures can also be used online or electronically. Students in Grades 4 and 6 are asked to sign an e-Safety Pact as a reminder to use technology responsibly. Students promise not to misuse online or electronic privileges by sending or posting cruel, threatening, inappropriate or disrespectful messages and images. While cyber predators do exist, cyber bullying is the most prevalent online/electronic threat to youngsters. Cyber predators do visit gaming and social networks, i.e. Snapchat, Instagram and Facebook. However, many of today's children have been online since preschool and have some knowledge about how to block, ignore and report such solicitations. By teaching e-safety in the context of personal safety, students learn addition - and specifically what to do if they receive unwanted messaging. Even students as young as PreK-2 need to understand that in any situation, the offender could be another child. Sadly, bullying and relational aggression begin as early as pre-school and usually involves friends. Approximately 30% of sexual abuse is also peer-to-peer. Juvenile perpetrators have often been victims of bullying or abuse themselves. Think First & Stay Safe™ teaches children what to do and say when witnessing or experiencing bullying and other potentially abusive behaviors. Children with self-confidence are less likely to be victimized or engage in at-risk behavior. Therefore, it is of vital importance to build self-esteem at every opportunity. By nurturing their sense of self-worth, we can instill in children an expectation to be treated with, and to treat others with, respect and dignity. Assuring youngsters of their right to control what happens to their own bodies gives them the confidence to assert themselves with adults or peers who attempt to bully or abuse them. Parents and caregivers play a critical role in protecting their children from bullying and abuse. Because family involvement is so important to a child's safety, the Think First & Stay Safe™ program's Parent Guide offer parents and caregivers the skills and knowledge they need to reinforce the skills their children are learning in school and help keep their children safe. The Think First & Stay Safe™ program aligns with recommendations in the guidelines for personal safety programs established by the National Center for Missing and Exploited Children (NCMEC). Jennifer Mitchell, Co-President of Child Lures Prevention, was one of eight national child safety experts who served on the Education Standards Task Force at the National Center for Missing and Exploited (NCMEC). The task force, along with NCMEC staff liaisons and supporting agencies, developed the Guidelines for Programs to Reduce Child Victimization: A Resource for Communities When Choosing a Program to Teach Personal Safety to Children. Some well-meaning educators and parents may worry that discussing personal safety issues will frighten youngsters. These reservations have proven to be unfounded with the Think First & Stay Safe™ School Program. Even very young children know some things can be dangerous: moving cars, hot stoves, electrical outlets, swimming unattended, and so forth. Fear of such dangers is nearly always diminished when children are provided with easy-to-understand prevention strategies. The same is true for victimization. In today's media-saturated culture, most kids are well aware that crimes can and do happen to children. Think First & Stay Safe™ alleviates fear through continual reassurances that most people are kind and safe individuals who strive for the safety and happiness of children. This idea is reinforced throughout the presentations to ensure that children are empowered rather than frightened. Overall, studies confirm that personal safety instruction does not produce unintended anxiety or fear. Research also shows that program participants do not subsequently misinterpret nurturing touches or make false accusations of abusive touching or behavior (Wurtele, Kast, Miller-Perrin, & Kondrick, 1989). Research shows that preschool and elementary-age children can learn personal safety concepts and skills (Wurtele, Marrs, & Miller-Perrin, 1987; Finkelhor & Strapko, 1992). The most effective programs teach skills over multiple sessions, provide opportunities to practice the skills, and include parental involvement (Davis & Gidycz, 2000; Finkelhor, Asdigian, & Dziuba-Leatherman, 1995). Increased knowledge and skills. Children who participate in these kinds of programs show significant improvement in prevention-related knowledge and skills, with those in preschool and early elementary school showing the greatest gains (Davis & Gidycz, 2000). Increased reporting. Teaching young children to tell an adult when a situation confuses them or makes them uncomfortable may be a powerful strategy to promote child safety (Daro, 1994). Research indicates that before receiving a personal safety curriculum, few preschool and school-aged children thought they should report secret touching. After receiving the program, however, children reported they were more willing to tell (Wurtele & Sarno, 1996). You can preview Child Lures Prevention educational materials for your school or organization for 30-60 days with no obligation to buy. Contact us today for references and more information.